September has come and gone, and I had a goal of writing a post on Polycystic Ovarian Syndrome but the bustle of life got to me. I was a little bummed until I realized that maybe it is a good thing. Too often we only raise awareness for diseases and conditions during specific months. Contrarily, life does not work like that. It does not wait until October for you to develop breast cancer or November to develop lung cancer. Your health can be impaired at any time of day. So, I am going to do things a little unconventional and share my PCOS story in the month of October. Let’s starts with the basics of what PCOS is. 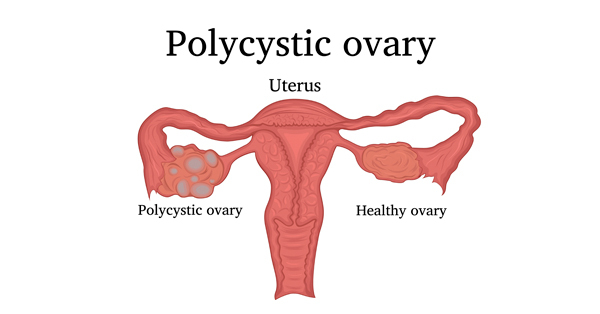 Polycystic Ovarian Syndrome also known as Polycystic ovary syndrome is a common health problem caused by an imbalance of reproductive hormones. As part of a healthy menstrual cycle the ovaries make an egg that is released each month. For women with PCOS the egg may not develop properly or be released during ovulation. PCOS can lead to missed or irregular menstrual period in turn leading to infertility along with the development of cyst in the ovaries. PCOS can happen anytime during puberty. Between 5%-10% of women of childbearing age (15-44 years old) have PCOS. Most women discover that they have PCOS in their 20s and 30s after visiting their doctor due to trouble getting pregnant. Studies have shown that PCOS is linked to other health problems such as: diabetes; high blood pressure, high cholesterol, sleep apnea, depression and anxiety, along with endometrial cancer. When I was 17 I saw a gynecologist for the first time due to horrible abdominal pain that was ruled out for everything else by my pediatrician. It was at the gynecologist that I first learned that I had ovarian cysts and my pain was most likely due to one rupturing. My gynecologist prescribed a low-dose birth control pill to help regulate my hormones and that is as far as the conversation went. It wasn’t until I was about 24 that I was officially diagnosed with PCOS. I was visiting my gynecologist for my annual pap smear, which is covered by all insurances due to the Affordable Care Act, when I mentioned to my gynecologist that I had been having frequent abdominal pain. Being that this gynecologist was different from the one I saw when I was younger he decided to run some blood test and ordered a pelvic ultrasound. After about a month of test and waiting I was informed that I have polycystic ovarian syndrome and once again I was prescribed birth control pills and told to lose a little weight. 1. Raise Awareness...I mentioned earlier that September is deemed National PCOS Awareness month, but that does not mean that we can only talk about it that month. 2. Care for your body…not only by eating right and exercising regularly, but also with the products that you use. There is currently no federal law which requires disclosure of ingredients in tampons and pads. Vaginal tissue is very sensitive, which means we should be extra careful about what’s coming into contact with it. This means women are left in the dark about what ingredients they are putting on some of the most sensitive and absorptive tissue on their body. BUT, there is good news Women's Voices for the Earth and Seventh Generation reported that Representative Grace Meng has introduced the Menstrual Products Right to Know Act. Together, on May 23, women concerned about their health stood alongside business leaders told Congress that we have the right to know what’s in the products we use so intimately. Protecting the right to know is important for all women in our lives. 3. Care for others…PCOS is not something that you can see, and something that people share regularly. So make it a priority to be considerate and empathetic to people you know, because you never know what they are experiencing.